We are not exaggerating when we say “Miller Starr Regalia writes THE BOOK on California real estate law." For over 50 years, Miller Starr Regalia has been writing and updating the most widely used and judicially recognized real estate treatise in California. When Miller Starr Regalia reached out to Moiré, they were looking to unify their voice and energize their brand by standing out from competitors and let their growing client base know they more than just THE BOOK. 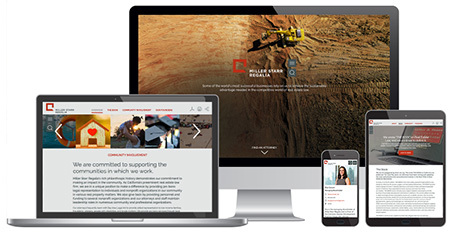 Reposition, rebrand and redesign... with a new dynamic website, industry focused messaging and a brand promise that units the firm, Miller Starr Regalia will no longer be seen as just the firm that writes the book on real estate law, but a firm that continues to define it. We wanted a website that is engaging, easy to navigate and focused on the real property issues our clients face every day.